Dallas, April 30, 2018 — The American Heart Association, the world’s leading voluntary organization dedicated to building healthier lives, free of cardiovascular diseases and stroke and a catalyst and partner in building healthier communities, is launching a new business line -- Health Screening Services ™. Life’s Simple 7 health behaviors and metrics represent seven out of the top 10 most costly risk factors for employers. Maintaining ideal levels for at least five of Life’s Simple 7 measures cuts risk of heart-related death by more than 50 percent, and people who achieve ideal cardiovascular health by age 50 have a significantly lower risk of heart disease and stroke, and live, on average, approximately 10 years longer than people with two or more risk factors. Screenings will include fasting and non-fasting test menu options. Consumers will be offered a variety of ways to complete their biometric screening - Onsite, Diagnostic Lab Facility, Physician Form, Retail Pharmacy Voucher, and Home Test Kit. The Association’s Health Screening Services program provides comprehensive and streamlined experience through a state-of-the art appointment scheduling system, retail pharmacy voucher program and incentive management option, along with robust interactive online data analytics and reporting. Consumers will receive science and evidence-based health guidance and easy to use, effective self-monitoring programs that capitalize on the Association’s health advocacy products and services, such as extended health coaching, My Life Check health improvement strategies and Life Simple 7 Engage programs. 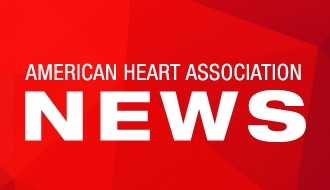 The American Heart Association regularly convenes community organizations, businesses partners and individual stakeholders to find and implement solutions that make a difference in people’s health where and how they need it. Health Screening Services will be available for employers and at community-sponsored events, as part of a suite of workplace wellness options. Organizations interested in learning more about the American Heart Association Health Screening Services business can email WHS@heart.org or call 888-242-4503. 2 Institute of Medicine of the National Archives. Population Health Implications of the Affordable Care Act - Workshop Summary. 2013 Oct 7.